Peaches. Oh, it is peach season, my friends. Sweet, sweet peaches that we should all dare to eat. Gobble up in fact. Grill them, puree them, spin them into ice cream, but eat them, eat them all. This take on the classic crisp is lovely. First, it gives you an excuse to pick out eight of the sweetest, ripest, prettiest peaches you can find. You need to peel them up, slice 'em up, and then coat them in a little flour and sugar. But then comes the most important, and inspired part: make the crisp. But this time use amaretti cookies instead of the regular-old oats. Amaretti, you ask. First off, in Italian, it means "little bitter thing" (perhaps a pet name for one you love?). These are lovely little Italian meringues that have that truly bittersweet taste of almonds and sugar. (However, here's the trick--they are not made with almonds; instead they are made with apricot kernels.) You know that taste, even if you haven't had one of these cookies--as you get closer to the peach pit, when you gobble that pretty fruit down, the flesh gets a little more bitter but also a little more like almonds: sweet and nutty. That's the taste of these cookies, and that's why they are so lovely on the crisp. If you buy your cookies, they are bound to be made the traditional way--with the stones of apricots. However, you can make your own, and Lebovitz's recipe calls for almonds instead of the pits (which have slight traces of cyanide in them, how's that for living on the edge?). Sweet lord, you can recreate that almondy, sweet bitterness in your own kitchen. I, on the other hand, chose to purchase mine. It was just simpler. 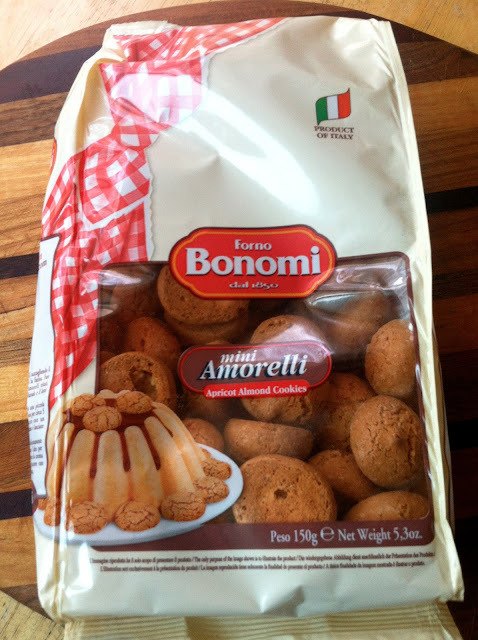 Now the amaretti cookies is not related to Amaretto, at least on the surface. There is no liquor in the cookie, but they do share the distinction of having the almond taste. And Amaretto can be made from almonds or apricot pits. (Disaronno uses only apricot pits.) Plus, the two--the cookie and the liquor--originate in the same part of Italy, Saronno. Let's come back to the crisp. Lebovitz suggests making double or triple the topping and freezing it so that you always have crisp makings on hand. The topping is quite lovely, so I second his suggestion. While perfect for pairing with any stone fruit (well, maybe not avocado), this topping would be delightful on raspberries or blueberries or strawberries or apples or any combination. Lebovitz suggests serving the crisp, either still warm or at room temperature, with heavy cream or with vanilla ice cream. We went the ice cream route, which melted quite quickly, so excuse the milky photos. But we gobbled this crisp up during an afternoon barbecue. More sweet than bitter, indeed. Finally, just some thoughts on how sweet this all is--not just the dessert. We mistake this all for permanence, all too often. The peeling of peaches, the sitting with family around an outdoor table, the watching of hummingbirds. It's so sweet. So we must pay attention. I am flying today to Illinois for a while. Those of you who know me well know I hate to fly. Breathe. Find what is sweet. **I bought mine, but you can make your own. 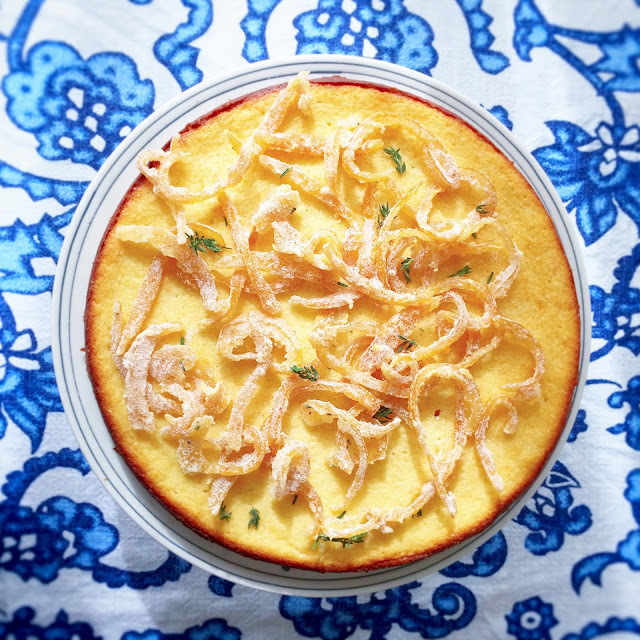 Here's David Lebovitz's recipe. 1. Preheat the oven to 375°F. Position an oven rack in the center of the oven and lay a sheet of aluminum foil on the rack below to catch drippings. 2. In a large bowl, mix the peach slices with the granulated sugar, flour, and vanilla or almond extract. Transfer the peaches to a shallow 2-quart baking dish. Set aside. 3. In a food processor, pulse together the flour, the brown and granulated sugars, amaretti, and cinnamon until the amaretti are in very small bits. Add the almonds and pulse until the nuts are in small pieces. 4. Add the pieces of chilled butter and pulse until the butter is finely broken up. Continue to pulse until the topping no longer looks sandy and is just beginning to hold together. 5. Distribute the amaretti topping evenly over the peaches. 6. Bake the crisp for 40 to 50 minutes, until the edges are bubbling and a knife inserted into the center pierces the fruit easily. 7. Serve warm with cold heavy cream or with vanilla ice cream. *Here's how to peel a peach (and a tomato, for that matter). Cut a cross in the bottom of the peach. Drop it into boiling water for 1 minute. Then transfer it to ice water for 1 minute to stop the cooking process. The skin should come right off. If not, put it back into the boiling water for another minute and then back into the ice water. Voila, a peeled peach.